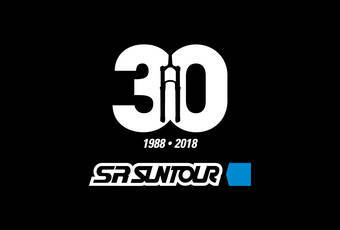 SRSUNTOUR has always been committed to pure cycling with roots tracing back to superior derailleurs on the market and successfully competing in the Tour de France back in the days. With this history in mind, also going electric means a commitment to pure cycling to us. 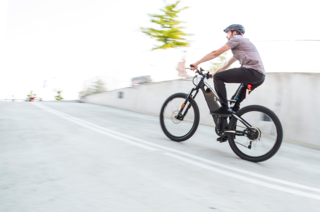 Riding an e-bike has to be intuitive, it has to feel natural yet powerful and dynamic, easy handling and bike riding with the freedom to go anywhere without limitation. 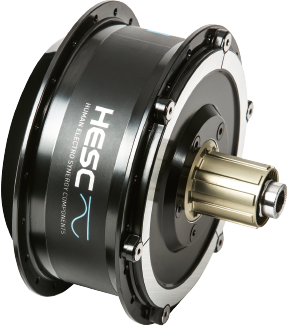 Thus the concept of Human Electro Synergy Components (HESC) perfectly illustrates the combination of human strength and electro-mechanical support. 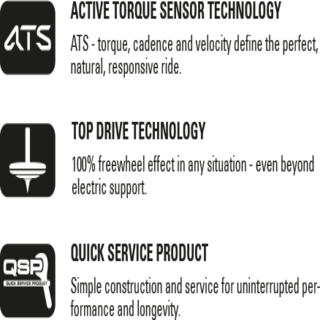 The Active Torque Sensor (ATS) technology measures not only velocity and cadence, but also the important aspect of torque. In combining these parameters we get the best impression about what your legs intend to do and so we just mirror and add the matching 'boost' to it. And so our riding modes not just add different levels of power, they pay into what is characteristic in a sporty riding style, in climbing a hill or in cruising around the city center. 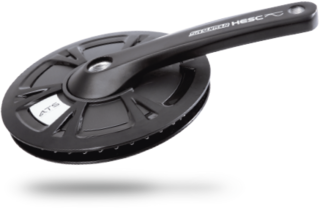 Our Top Drive™ freewheel function lets the bike roll and roll, no matter if one´s going beyond the maximum level of support or if one´s cycling without electric assistance. Maintenance is essential if you want your ride to perform consistantly at the highest level. Thus we keep our parts separated with a maximum of synchronization rather than integrating as much as possible. This ensures easy access, quick service and low cost to spend your time riding. Also based on this thought our rear motor transports its power directly onto the rear wheel. This ensures a sporty direct drive, but also takes stress off chain and sprockets. Also shifting can be done anytime without interrupting the flow e-bikers are searching for. Every system requires powerful and reliable propulsion! The ATS rear-wheel drive is thev heart of our systems and is available immediately as a power package for E-45 speed pedelecs. With its 60 Nm torque and 250 W power (max. 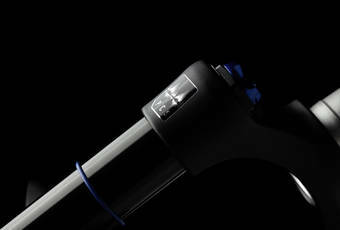 450 W) it ensures an impressive start and thrust directly at the rear. It has virtually no power loss and is still lively and agile beyond the 40 km/h mark. You ride, we measure. 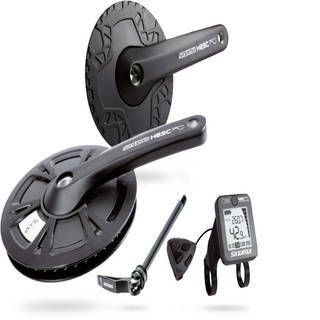 The pedaling frequency and pedaling power parameter is continuously determined via infrared. You have a decisive influence on the driving properties, which we want to make as natural and dynamic as possible. You decide on the characteristics by choosing the assistance mode and the way and manner in which you turn the pedals. 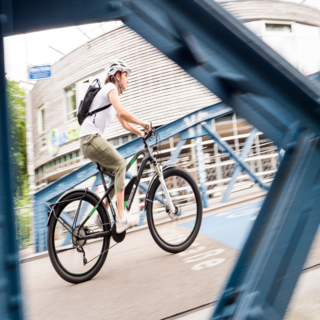 Adapted to specific requirements, our city bikes have a crank with 38 teeth; mountain bikes and sporty trekking bikes have 42 teeth and an additional chain ring guard. 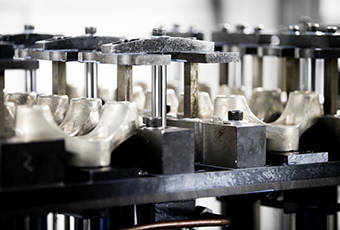 With the fast E-45 speed pedelecs you can rely on 48 teeth, which provide maximum propulsion. A cheetah, incidentally, has 30 and is incredibly fast! The ATS Display together with the handlebar remote control is the communications centre of our system and ensures a safe ride. 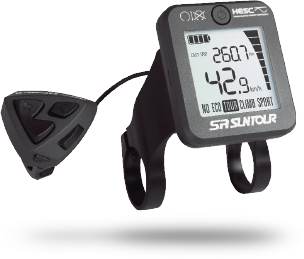 It shows all necessary information while in use and after use, such as information about the speed, range and riding modes. You just start wake the system out of sleep mode and switch it off, activate the push assistance or switch the light on. A complete restart or a start after more than three days in sleep mode is performed first by switching on the battery.